Newsflash! TRY Yoga Unleashed! Second Series! Next Sunday! So excited to announce the second event in the series, come and play! 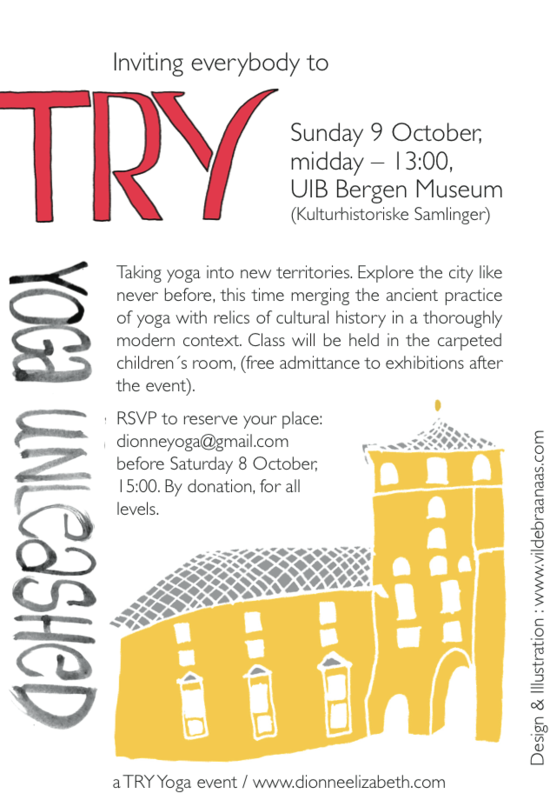 This entry was posted in lifestyle, news, schedule and tagged anthropology, Bergen, Bergen museum, culture, event, history, TRY Yoga Unleashed, yoga. Bookmark the permalink. ← Video Alert: TRY Yoga – Leg, back and hip saver.